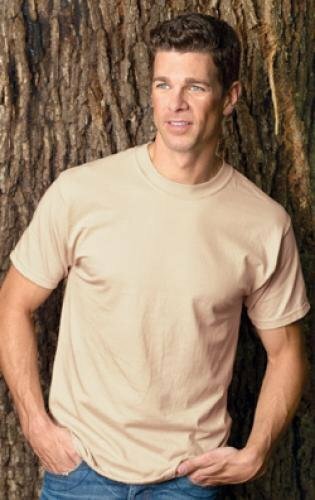 Jerzees Adult Heavyweight 5.6 Ounce, 50-50 Cotton/Polyester Short Sleeve T-Shirt. Taped shoulder to shoulder. Ribbed crewneck collar with front neck coverseaming. Two-needle hemmed, set-in sleeves and bottom. Adult Sizes: S-5XL.